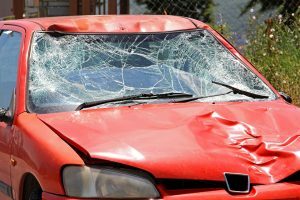 Massachusetts Injury Lawyer Blog — Published by Boston, Massachusetts Injury Attorneys — Breakstone, White & Gluck, P.C. Fisher-Price has recalled its Rock ‘n Play sleeper after an investigation found more than 30 infants died while using it. It once looked the perfect place to nap and cuddle. But this adorable product – the Fisher-Price Rock ‘n Play Sleeper – wasn’t ever safe. Fisher-Price and the Consumer Product Safety Commission (CPSC) announced the recall of 4.7 million sleepers on April 12, 2019. Parents are being urged disassemble the sleeper and stop using it. The company expects to spend the next several months processing recalls. Prior to the company’s action, the American Academy of Pediatrics (AAP) had joined Consumer Reports in calling for the product’s removal, stating the Fisher-Price Rock ‘n Play failed to comply with its recommendations, which state infants should only sleep on flat and firm surfaces. Further, the AAP advises infants should not be left on the same surface as other bedding, toys or bumpers, which could increase the risk of infant suffocation or choking. Fisher-Price, a division of Mattel, is asking parents to contact the company for a refund or voucher toward another Fisher-Price product. The company will offer a full refund for Rock ‘n Play sleepers purchased during the past six months. Fisher-Price and the CPSC announced the product’s recall on Friday, April 12th, following days of pressure from safety organizations. Fisher-Price had initially resisted. On April 5, the CPSC and Fisher-Price released an initial warning and announced 10 infants had died in the Rock ‘n Play between 2015 and 2019. The infants were all 3 months or older and died after rolling over from their back to their stomach or side. At that point, there was no recall, but parents were advised to stop placing children in the sleeper once they reach 3 months old, or earlier if they begin turning themselves over. Days later, Consumer Reports came out with a troubling report linking the product to not 10, but 32 infant deaths since the 2009 release. The consumer watchdog called on the CPSC to immediately issue a recall of the defective product. In response, Fisher-Price said the company did not believe any of these deaths were caused by the sleeper. Rather, the company said medical and health conditions were cited as the cause in some deaths, and in other cases involved improper use of the sleeper. Despite the AAP recommendations, Fisher-Price managed to introduce the Rock n’ Play and sold it for a decade. Before the recall, it was selling for $40 to $149 at various retailers. The product sits elevated in a canopy-like environment for sleeping and sitting and featuring a “motorized rocking motion” and musical tunes. The problem is when a baby’s head falls forward or sideways. This can block the child’s access to oxygen. Parents should do careful research when buying children’s products. Monitor the CPSC website for warnings and recalls, as well as the Consumer Reports website. We can expect to hear more about the dangers of other sleeper products in the near future, as Consumer Reports continues its investigation. On April 11, it reported on four other child deaths linked to Kids II sleepers. If you are ever injured while using a consumer product, you should contact the CPSC to report the injury. The CPSC is the federal agency responsible for overseeing the recall process, releasing warnings to the public and collecting injury data. The CPSC works with manufacturers to issue product recalls. If you have been injured, it is also in your best interests to consult a Boston product liability attorney. At Breakstone, White & Gluck, our Boston attorneys have represented clients injured by defective products, medical devices and vehicles. Prompt investigation is necessary in product liability cases and our attorneys are known for our thorough, detailed and capable investigation. For a free legal consultation, contact our lawyers today at 800-379-1244 or 617-723-7676 or use our contact form. Bike lanes in Inman Square, Cambridge, Massachusetts. Photo credit: www.bwglaw.com. Over the past few years, there has been a growing sense of excitement about safer cycling in Cambridge. With a vote this week, the Cambridge City Council has signaled there is more to come. The City of Cambridge has many bike lanes, but in 2017, city officials accelerated development of protected bike lanes, which place a physical barrier or extra room and road markings between cyclists and traffic. The city did this with a heavy heart, after fatal bicycle crashes claimed the lives of two cyclists in 2016. One of the cyclists was killed in Inman Square in a dooring crash; the other died in a bicycle collision with a truck in Porter Square. 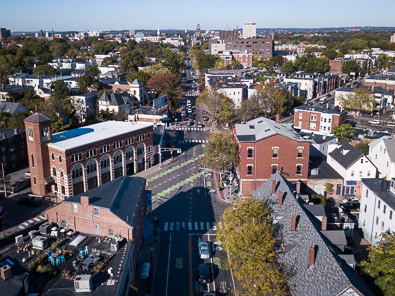 Then, during 2017, the City of Cambridge rolled out new bike lanes in key travel corridors, including Brattle Street in Harvard Square and Massachusetts Avenue, near Cambridge Rindge & Latin, more than a mile altogether. 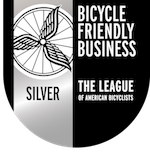 The city finished the year with 25.8 miles of bike lanes, including 4.2 miles of separated bike lanes, according to a report by Wicked Local Cambridge. Since then, cyclists and safety groups, such as Cambridge Bicycle Safety, have urged the Cambridge City Council to do more. This week, the City Council approved the Cycling Safety Ordinance, paving the way for more protected bike lanes. The ordinance calls on the city to add protected bike lanes when roads identified by the Cambridge Bicycle Plan are reconstructed. Once complete, the bicycle plan will create an impressive 20-mile network of protected bike lanes. The ordinance means residents no longer have to lobby for protected bike lanes when roads are rebuilt. Until now, city officials have had to grant permission on a street-by-street basis or not at all. There may still be some debate though. The city manager can ultimately veto construction of a protected bike lane based on factors such as a street’s physical layout or the costs. If this happens, the manager must document the reason in writing. Cambridge officials say they are unaware of any other communities in Massachusetts or across the U.S. which have adopted such a far-reaching policy to create protected bike lanes. We suspect bicycle committees and planners far and wide will be watching. Protected bike lanes improve safety for cyclists, but the impact goes further by giving everyone on the road clear markings to follow. For drivers and their passengers, these markings are visual reminders not to drive, park or open vehicle doors in bike lanes or they could cause a bicycle crash in Cambridge or any other U.S. city. StreetsBlog reported on a 2012 study on bike lanes published by the American Journal of Public Health. The study found cyclists on streets with bike lanes had a 50 percent lower chance of injury over streets without bike lanes. Meanwhile, protected bike lanes had the potential to reduce injuries by as much as 90 percent, which is a tremendous figure. Even multi-use paths and off-street trails had a lesser impact, reducing injury by 60 percent compared to roads with bike infrastructure. Breakstone, White & Gluck specializes in representing cyclists and pedestrians who have been injured by the negligence of drivers and rideshare vehicles in Massachusetts. If you have been injured, the most important step you can take is to learn your legal rights for seeking compensation. For a free legal consultation, contact our Cambridge bicycle accident attorneys at Breakstone, White & Gluck at 800-379-1244 or 617-723-7676 or use our contact form. Taking a few essential steps now can help motorcyclists reduce their risk of injury this season. By now, many Massachusetts motorcyclists are ready for warmer days ahead. At Breakstone, White & Gluck, our attorneys represent motorcyclists who have been injured and we are committed to sharing safety tips to protect from motorcycle accidents and injuries. This is a great starting point for new motorcyclists. Attendance is worthwhile because you have to opportunity to learn from more experienced motorcyclists and meet others looking to learn. You may also be able to fulfill your licensing requirements here. When you are finished, take your certificate of completion right to your auto insurance agent and ask for an insurance discount. More experienced motorcyclists will also find something here, whether they seek new skills or want to review fundamentals to avoid motorcycle crash situations. 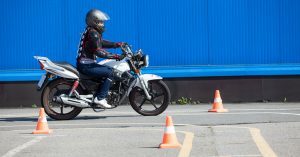 Sponsored by the Massachusetts Registry of Motor Vehicles, the program offers 15 hours of course material, includes five hours in the classroom and 10 hours of hands-on motorcycle instruction. Motorcyclists under age 18 must complete the training before taking the Massachusetts Motorcycle License test. The best way to begin is by visiting the Massachusetts Ridership Education Program website. You must sign up for an approved motorcycle training program to qualify for the insurance discount. Programs are offered throughout the state, in Ayer, Bedford, Beverly, Brockton, Foxborough, Framingham and other communities. No one ever expects to be injured in a motorcycle crash. But it can happen and you want to make sure you and your family are protected. Start by learning about your Massachusetts auto insurance policy. While auto insurance coverage for motorcyclists and drivers is similar, there is a key difference in Massachusetts. Unlike drivers, motorcyclists do not receive PIP (personal injury protection) benefits. PIP benefits provide the first $8,000 of medical expenses, lost wages and other expenses for a driver who is injured. The loss of these benefits creates another obstacle for motorcyclists after a crash. We encourage you to read the article and show it to your insurance agent. Talk to other motorcyclists about their experiences buying insurance coverage. In addition to providing compensation if you are injured, buying the right types and amounts of coverage can bring you peace of mind now as you get ready to ride this season. Massachusetts has had a mandatory helmet law since 1967 and is one of 28 states which currently require motorcyclists to wear helmets. Massachusetts has a “universal law,” which requires both motorcyclists and their passengers to wear helmets. The statute is M.G.L. c. 90, Section 7. Riders can be fined up to $100 for failure to wear a helmet. Helmets must meet the U.S. Department of Transportation’s Federal Motor Vehicle Safety Standard No. 2018. You will see a label with this number on the inside and outside of the helmet. Along with the helmet, motorcyclists must wear goggles or a protective face shield. This is not a requirement if the motorcycle has a windshield or screen. Breakstone, White & Gluck is a Boston personal injury law firm which represents motorcyclists who have been injured in Massachusetts. 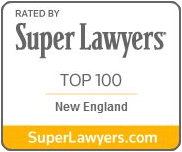 With over 100 years combined experience, our lawyers are recognized for our results for clients across the state, from Boston to Worcester to Cape Cod. If you have been injured, learn your legal rights for seeking compensation. 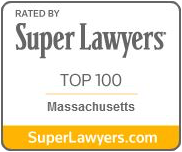 Our attorneys offer a free legal consultation: 800-379-1244 or 617-723-7676. You can also use our contact form. A passenger nearly causes a dooring accident by opening her car door, without checking for cyclists. By using the Dutch Reach method, drivers and passengers can reduce their risk of causing these injuries. As April begins, so come more cyclists on the road. Drivers should consider each cyclist a reminder to use the Dutch Reach method and never open your car door without checking. You can cause serious and even fatal injuries to a cyclist. In Massachusetts, you may also be held financially responsible for the tragedy that follows. At Breakstone, White & Gluck, our lawyers have represented many cyclists injured by dooring accidents and other bicycle collisions in Boston, Cambridge and across the state. We urge drivers to take a few minutes to learn about the Dutch Reach method to prevent injuries. Lack of awareness causes many injuries. Many drivers park and open their car door automatically, heedless of its risk to passing cyclists or to themselves (or door!) even as the number of cyclists sharing our roads increases by the year. In Boston alone, the city’s bike counting program tracked nearly 40,000 bike trips each day in 2017. During 2019, the concern spreads beyond cyclists as dockless scooters arrive in the Boston area. Dooring accidents happen after drivers park and exit their vehicles without checking. The Dutch Reach method attempts to slow the process down and give drivers more time to see cyclists and anticipate potential accidents. The approach calls on drivers to park and then check their rear-view and side-view mirrors. If there are no cyclists or pedestrians nearby, drivers can turn to open the door with their far hand. In the process, they should get a good look at the road behind them. Both drivers and passengers are advised to follow this approach. By doing so, drivers can limit the risk for injuries to cyclists as well as pedestrians. Watch this video to learn about the Dutch Reach method. The demonstration begins around the 1 minute mark. The Dutch Reach method originated in the Netherlands. But Michael Charney, a Cambridge doctor, began campaigning for awareness in Massachusetts in 2016, after the devastating bicycle crash which killed Amanda Phillips in Cambridge’s Inman Square. The 27-year-old was hit by two vehicles, first an open door. As a result of this campaign, Massachusetts updated its state driver’s manual in 2017, adding instructions for the Dutch Reach method. Dooring has been against the law in Massachusetts since 2009. You can be cited and fined up to $100 per offense for interfering with other traffic, including a pedestrian or cyclist. You can also face a civil claim from the victim seeking financial damages. For years, drivers and cyclists have learned the dangers of dooring crashes after a collision; but adding the Dutch Reach instructions to the Massachusetts driver’s manual now provides clear and concise instructions for how to prevent these crashes. 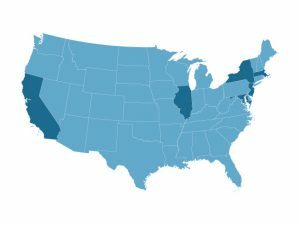 Following success in Massachusetts, Charney’s campaign has continued, resulting in two other states, Washington and Illinois, adding the Dutch Reach to the state driver’s manual. Expect cyclists on the road. Many cyclists will travel in the bike lane or to the right of traffic, but remember that cyclists have the legal right to operate in the traffic lane when they need. Slow down. When you travel fast, you have less time to respond. Follow cyclists at a safe distance. Cyclists should have at least three feet of space when you pass them. The further back you travel, the wider your field of vision. Remember that cyclists may need to leave the bike lane. You need to make sure you can respond if they do. Expect someone may stop unexpectedly, such as a delivery truck or an Uber or Lyft vehicle picking up a passenger. Be careful not to startle a cyclist. Never honk. Approach crosswalks and traffic signals with caution. Cyclists are supposed to stop, but expect there may be times they can’t due to traffic conditions. Use your mirrors. Check for cyclists behind you and next to you, especially before turning or parking. Finally, again, be careful when parking. Use the Dutch Reach method. Be cautious when parking in unfamiliar streets and avoid parking near traffic signals and crosswalks. The Boston personal injury lawyers at Breakstone, White & Gluck represent cyclists who have been injured by the negligence of drivers. We also work to prevent bicycle accidents and improve safety through our sponsorship of bicycle clubs in the Boston area and our Project KidSafe campaign, which has donated more than 25,000 bicycle helmets to children across Massachusetts. If you have been injured, Breakstone, White & Gluck offers a free legal consultation. Learn more about our attorneys. Last month, the City of Everett announced it was joining the Bluebikes regional bike share. This was welcome news for commuters, especially Everett residents who travel into Somerville, Cambridge and Boston. Everett will become the first Massachusetts community to offer both the Bluebikes and dockless bikes. Everett is also the first community to join the metro-Boston bike share in at least five years. The City of Boston first brought the program – then called Hubway – to the region in July 2011. It began with a fleet of 600 bikes parked at 60 stations within the city of Boston. In Boston, city officials are interested in lowering speed limits to 20 mph in neighborhoods to reduce traffic fatalities. The proposal comes just two years after the city lowered speeds from 30 to 25 mph and will require state approval. First, the City of Boston dropped speed limits to 25 mph, with a goal of reducing traffic fatalities and pedestrian injuries. Now, Mayor Marty Walsh and the Boston City Council have their eyes on 20 mph on neighborhood streets. The next step is obtaining state approval. The City of Boston first sought to lower speed limits as part of its VisionZero campaign a few years ago. That proposal also required approval from the state Legislature and Gov. Baker’s signature. Gov. Baker signed the Municipal Modernization Bill into law in 2016, including language that allowed cities and towns to lower the default speed limit from 30 to 25 mph. 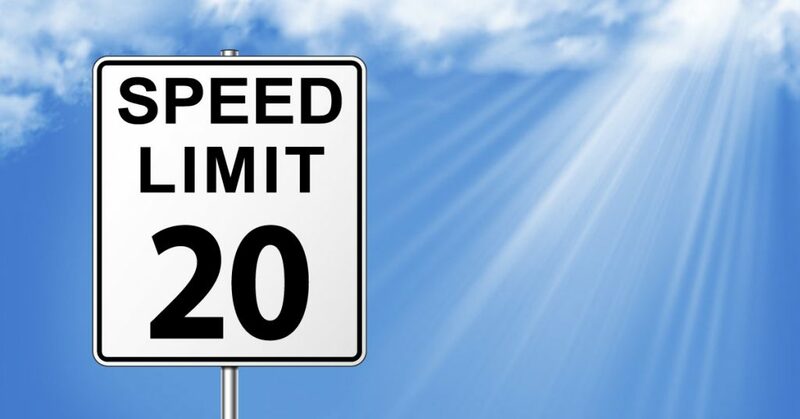 Cities and towns can now lower speed limits on all (or select) municipal roads in thickly settled areas or business districts. Many communities have done so, including Boston, Cambridge, Quincy, Arlington and Dedham. Now, unless traffic signs are posted otherwise, it’s 25 mph in these communities. While the speed limit in these communities has dropped, the fines remain the same. In Massachusetts, speeding carries a $105 fine for speeding. If you exceed the speed limit by 10 mph, there is an extra $10 fine per each mile per hour. Boston was the first to approve lower speeds, with this taking effect in January 2017. But the City of Boston’s goal was always 20 mph and remains so for city neighborhoods. In fact, the Boston City Council approved a 20 mph speed limit back in 2016. As the City of Boston pursues a 20 mph speed limit for neighborhoods, there is early data showing that the 30 to 25 mph drop has changed traffic patterns for the better. According to an Insurance Institute for Highway Safety study, after the lower speed limit took effect, Boston saw a 29 percent reduction in traffic traveling over 35 mph. Mayor Walsh also announced other transportation initiatives last week, including the creation of special drop-off and pick-up sites for Uber, Lyft and other ridesharing vehicles. Data from the Massachusetts Department of Public Utilities confirms that Boston is the truly the hub of ride-hail services. During 2017, nearly 35 million rideshare trips began in the city. Boston saw more than 6 times as many rideshare starts as Cambridge, which has the second largest presences in Massachusetts. Walsh’s other proposal is to give every student in the Boston public school system a MBTA pass. The price tag hasn’t been negotiated yet with the MBTA. Currently, the city receives a subsidy from the MBTA and pays $5.6 million for MBTA passes for students in Grade 7 and 8 who live more than a mile and a half from their schools. According to the VisionZero Network, 9 out of 10 pedestrians who are hit by a vehicle traveling 20 mph survive. Increase the speed to 30 mph and the survival rate drops to 50 percent. At 40 mph, just 10 percent of pedestrians survive. Speed is a factor in nearly one-third of all traffic deaths in the U.S. (Source: VisionZero Network). Speeding crashes claimed the lives of 59,374 people on U.S. roads from 2010 to 2015 (Source: VisionZero Network). Cars speeding through red lights are a leading cause of urban car crashes, according to the Insurance Institute for Highway Safety. Some states and local communities permit use of red light and speeding cameras to improve enforcement. But many do not, including Massachusetts and our neighboring New England states. Rhode Island is the one exception, allowing red light cameras by state law and city ordinance. State law permits use of speeding cameras in school zones on weekdays. The Massachusetts Legislature is being asked to reconsider an ignition interlock law for first-time OUI offenders. A proposal to expand use of ignition interlock devices for drunk drivers is back before the Massachusetts Legislature. Gov. Charlie Baker and Lt. Gov. Karyn Polito’s transportation bill includes the proposal to mandate ignition interlocks for first-time convicted drunk drivers. Currently, Massachusetts drivers convicted for the first time may seek hardship licenses allowing them to travel for work and specific purposes. Baker and Polito’s proposal would also put ignition interlock devices in their vehicles for at least six months following conviction. The devices test whether drivers are under the influence and if so, prevents them from starting their vehicle. 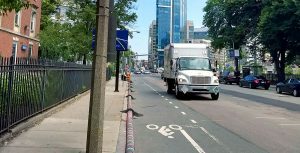 Trucks Remain a High Crash Risk for Cyclists in Boston, Across U.S.
A truck travels along Brookline Avenue in Boston last summer, near the site of a fatal truck crash killing a cyclist last week. 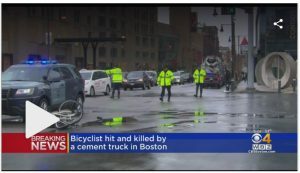 It was heart-breaking to watch the TV news coverage last week, the scenes following a cement truck crash which killed a cyclist in Boston’s Fenway neighborhood. The 69-year-old victim, a librarian in Brookline, was hit at the intersection of Brookline Avenue and Park Drive on Friday afternoon. As State Police investigate the fatal bicycle accident, we should all be concerned about trucks. If you are a pedestrian or cyclist in Boston or Cambridge, you have likely witnessed a truck crash or near crash. Or the sheer terror of having a truck come too close. At times, is hard not to travel in fear. In addition to the cement truck crash, a City of Boston truck plowed over a sidewalk, hit a pedestrian and smashed into the side of Liu Yi Shou Hotspot Boston. The restaurant is located on the corner of Washington and Kneeland streets in Chinatown, near Tufts Medical Center. The pedestrian was treated for non-life threatening injuries while the restaurant sustained heavy structural damage. Because trucks are heavy-weight vehicles, drivers must be properly trained and use reasonable care when operating. When they neglect to do so, pedestrians and cyclists are in danger. Drivers and occupants of passenger cars are also at great risk. And we have seen trucks damage and leave behind deadly conditions in Boston tunnels. Our attorneys have extensive experience in investigating truck crashes which have seriously injured or killed cyclists. 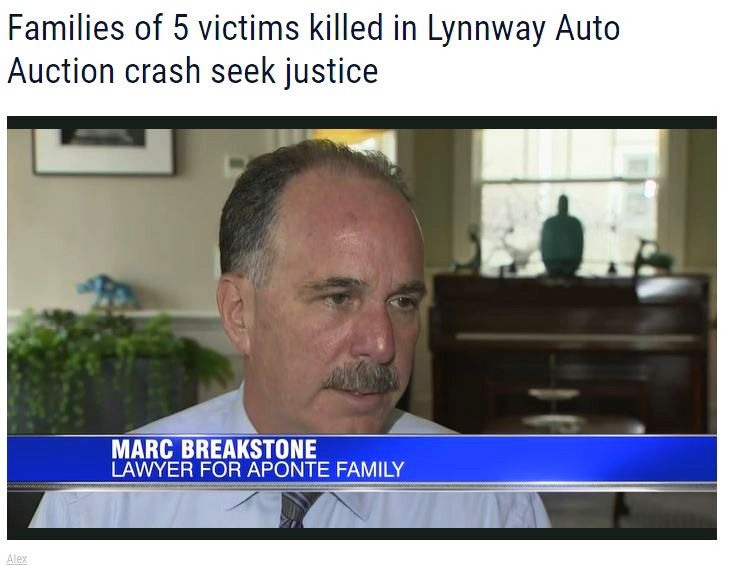 Last year, Attorney Ron Gluck of Breakstone, White & Gluck settled a wrongful death lawsuit on behalf of a cyclist who was killed by a truck driver in a hit-and-run crash. The driver hit our 38-year-old client at the intersection of Massachusetts Avenue and Beacon Street. Read about the case in Boston Magazine. Nationwide, fatal truck crashes have increased by 3 percent, from 4,704 to 4,213, according to the 2016 Large Truck and Bus Crash Facts 2016 report by the U.S. Department of Transportation. Truck drivers were speeding in 6.9 percent of truck crashes involving a fatality. They were engaged in distractions in 6.1 percent of fatal truck crashes. Failure to yield the right of way resulted in 4 percent of truck crashes resulting in a wrongful death. These were the leading causes; violations were not reported in many of the accidents (2016 Large Truck and Bus Crash Facts 2016). In 2016, 840 cyclists were killed in traffic crashes, a 2 percent rise over 2015. More significantly, this continued a trend of near two percent increases and marked a 25-year high for fatal cyclist accidents in the U.S. Cyclists age 55-59 and 60-64 had the highest fatality rates. (Source: National Highway Traffic Safety Administration,Traffic Safety Facts 2016 Data: Bicyclists and Other Cyclists). Single-vehicle truck crashes killed 85 cyclists in 2016, just about 10 percent of all traffic deaths (NHTSA Traffic Safety Facts). When cyclists are killed in collisions with motor vehicles, they are most likely to be hit by the front of the vehicle, according to the NHTSA FARS data. Cyclists are hit from the front in 78 percent of all cyclist vs. motor vehicle deaths, including in 89 percent of accidents involving cars and 83 percent of accidents involving light trucks, SUVs, pick-up vehicles or vans. The numbers change when you look at fatal accidents involving large trucks and cyclists. While 48 percent of cyclists who died were hit from the front of large trucks, 22 percent were struck by the right side of a truck, while 9 percent were hit on the left side. Another 7 percent were by the back of the truck. Some cities and states want to encourage truck safety by passing ordinances that require trucks to be equipped with side guards. This covers the area between a truck’s wheels, where cyclists and pedestrians can become trapped. Two cities in Massachusetts have already passed ordinances for city-contracted trucks and large vehicles. The ordinances also require trucks to use convex mirrors to help them see blind spots. Boston was the first U.S. city to pass an ordinance in 2014. Somerville has since followed, passing the Somerville Ordinance to Safeguard Vulnerable Road Users. A statewide law could be next. A proposal now on Beacon Hill is asking lawmakers to mandate side guards on all city- and state-owned vehicles by 2020. Contractors would be required to meet the new standard by 2022. Breakstone, White & Gluck has more than 100 years combined experience representing victims in personal injury, wrongful death and medical malpractice cases. If you or someone in your family has been injured, contact us today for a free legal consultation at 800-379-1244 or 617-723-7676 or use our contact form.